Released theatrically in 1962, To Kill a Mockingbird won instant accolades for its nuanced performances, splendidly crafted narrative and bold endorsement of racial tolerance, fairness and honor, a combination that still resonates with audiences today. It earned eight Academy Award® nominations and three wins including a Best Actor statuette for Gregory Peck in one of his most iconic roles as the principled Alabama lawyer Atticus Finch, Best Adapted Screenplay and Best Art Direction. 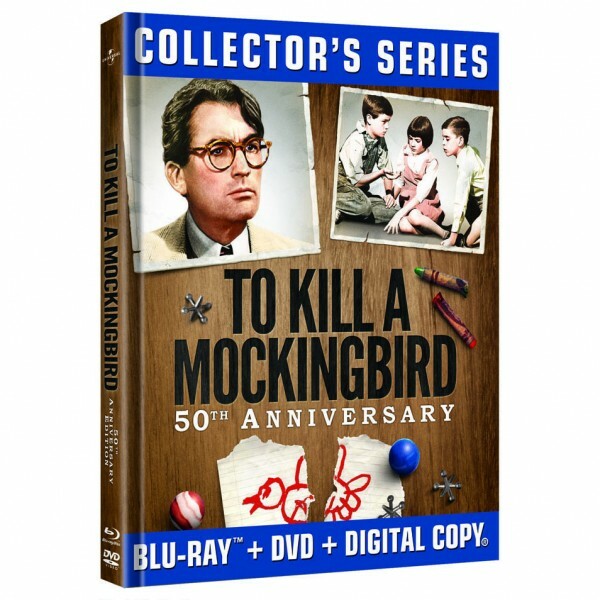 The prestigious American Film Institute lists To Kill a Mockingbird as one of the 100 Greatest American Films and also names Atticus Finch as the No. 1 Film Hero of All Time. A timeless, enduring classic that remains as relevant and impactful today as it was at its release, To Kill a Mockingbird’’s appeal continues to span generations. In honor of its centennial anniversary, Universal Pictures proudly salutes 100 years of unforgettable films that have entertained audiences and touched the hearts of millions around the globe. In celebration of our first 100 years, Universal Studios Home Entertainment is proud to present a selection of our many beloved movies as part of an extensive year-long program that underscores the studio’s rich cinematic history and indelible cultural impact. Fearful Symmetry— A feature-length documentary on the making of To Kill a Mockingbird with cast and crew interviews and a visit to author Harper Lee’s home town. A Conversation with Gregory Peck— An intimate feature-length documentary on one of the most beloved actors in film history with interviews, film clips, home movies and more. Academy Award® Best Actor Acceptance Speech— Gregory Peck’s speech after winning the Academy Award®for his performance as Atticus Finch. American Film Institute Life Achievement Award— Gregory Peck’s memorable remarks upon receiving the AFI Life Achievement Award. Excerpt from “Tribute To Gregory Peck”— Cecilia Peck’s heartwarming farewell to her father given at the Academy in celebration of his life. Scout Remembers— Actress Mary Badham shares her experiences working with Gregory Peck. DIGITAL COPY: Owners of the Blu-ray™ Combo Pack can also download a digital version of the full-length movie from participating digital retailers to enjoy on a choice of popular electronic and portable devices. U-CONTROL: SCENE COMPANION: Available on To Kill a Mockingbird: 50th Anniversary Edition for the first time, viewers can watch interviews, see photos and more during key scenes with this picture-in-picture companion featuring narration by Gregory Peck’s Family.